After months of fan begging, Niantic will finally pull through and add real content to Pokémon Go. A Pokémon Go update slated for sometime this week will allow players to collect dozens more creatures from the Johto compendium. While catching Pokémon, Trainers can use two new Berries—the Nanab Berry, which slows a Pokémon’s movements, and the Pinap Berry, which doubles the amount of Candy received if the next catch attempt succeeds. Trainers will also be able to customize their avatar’s appearance with a new selection of hats, shirts, pants, and other items. 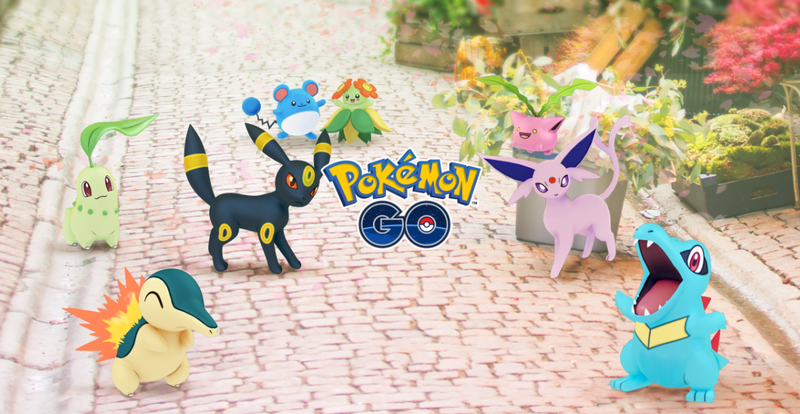 Additional items will be available for purchase from the in-game Pokémon GO shop. The full list Johto monsters can be found here, though it seems unlikely that Gold/Silver legendaries will be available once this goes live—we don’t even have Mewtwo yet, after all. Of all of these, the new starters include Chikorita, Cyndaquil, and Totodile. Those of you stockpiling monsters for gen two will be happy to note that this update means you can finally evolve Zubat into Crobat, Slowpoke into Slowking, Onix into Steelix, Chansey into Blissey, Seadra into Kingdra, Scyther into Scizor, Eevee into Espeon and Umbreon, and Porygon into Porygon 2.